A common parasite, fleas are found in almost every area of the world and can be found on dogs, cats, and many other mammals. They survive year to year even in cold climates because they live on pets, in buildings, and on wild animals. There are four stages to the flea life cycle. Eggs are laid by an adult female flea which is on a host. The eggs roll off into the environment and after a few days they mature into larvae. Larvae survive by eating flea feces, flea egg shells, organic debris, and other flea larvae. They can crawl and move as far as six inches per day. After a few days, and once conditions are conducive, larvae mature into pupae. Pupae have very thick shells and are very resistant to environmental conditions. After a few days, and once the pupae detect a host is present, they mature into adult fleas that hop on another host. There are many types of flea treatments. Unfortunately, there is no one drug or chemical that can kill all four stages of the flea. There are several types of good products to kill adult fleas: Activyl, Frontline, Advantage, Comfortis, Capstar, Revolution, and others. Older products of various formulations of synthetic pyrethrins are also available, some of which are highly toxic to cats. Lufenuron and methoprene are chemicals that work on immature stages of the flea, although there is no chemical that will kill the pupal stage. Fleas are the number one allergen of dogs and cats and can cause severe skin disease and itching. 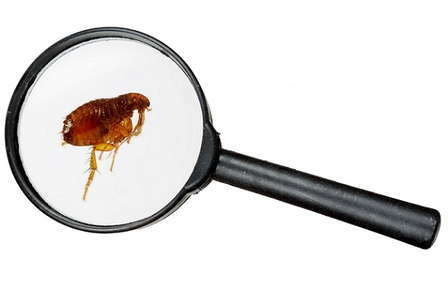 Another reason fleas should be treated is due to the fact that they can carry and spread several serious diseases, such as tapeworms, Cat scratch disease (Bartonella), murine typhus, and the bubonic plague. Your veterinarian can help you with a flea control program depending on what kind of pets you have and the level of flea infestation. Control may involve treating the environment as well as the pets. Contact your veterinarian today for more information about the treatment options available for your pet! *Exam only. Does not include diagnostics, vaccines or other additional items that may be recommended. Open at 7:00 AM for pet drop off or pick up. Appointments and examinations begin at 9:00 AM on all days open for business by appointment only.